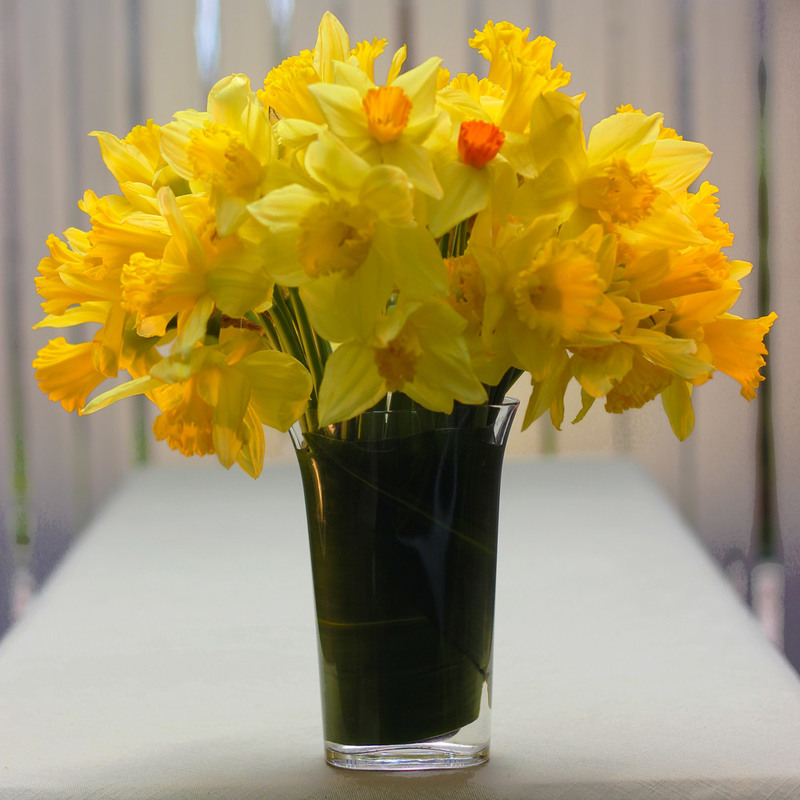 5 - 7 bunches of daffodils (they come in small bunches) or 2 bunches other small flowers. 7/8 inch wide orange ribbon with white polka-dots - cut 1 yard 1 inch. 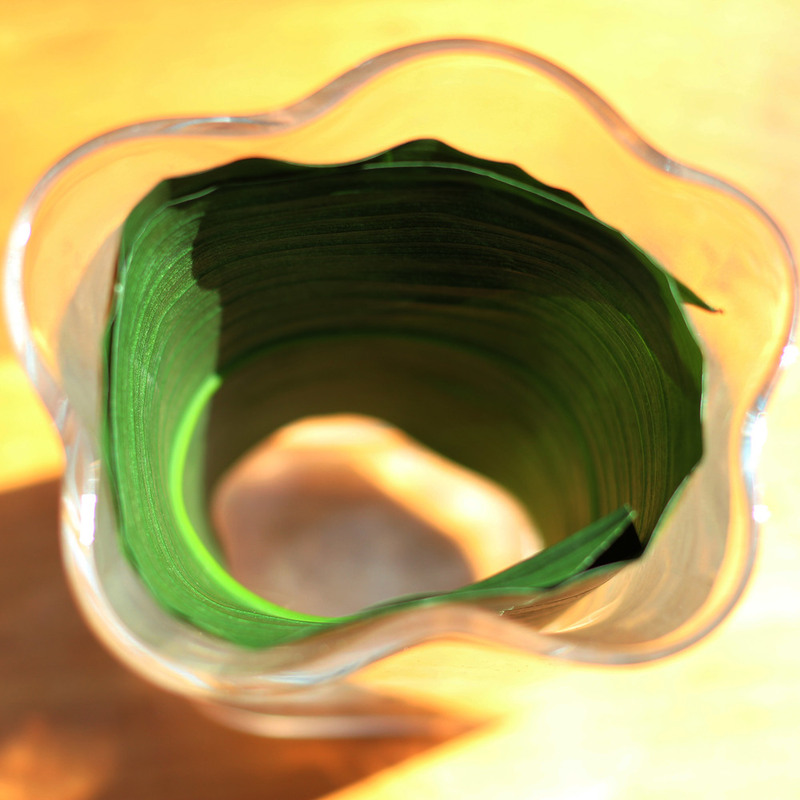 This is a very simple arrangement in an organic clear Alvar Aalto inspired vase. The top shape of the vase has undulating curves, i.e., they have a wave like motion, not the traditional cut crystal in a cylinder or rectangular shape. The material of the vase is unadorned clear glass. Alvar Aalto, a prominent Finnish product and architectural designer, introduced his organic vase, Savoy Vase of 1937, at the Paris World Fair in 1937. The vase used in this arrangement is inspired by Alvar Aalto, but it was a wedding gift and I have not been able to find the manufacturer. To make this arrangement, you could use a clear fluted vase of the same dimensions or the Crate and Barrel Evelyn Small vase. The design of the vase is minimal and modern as is the floral design. 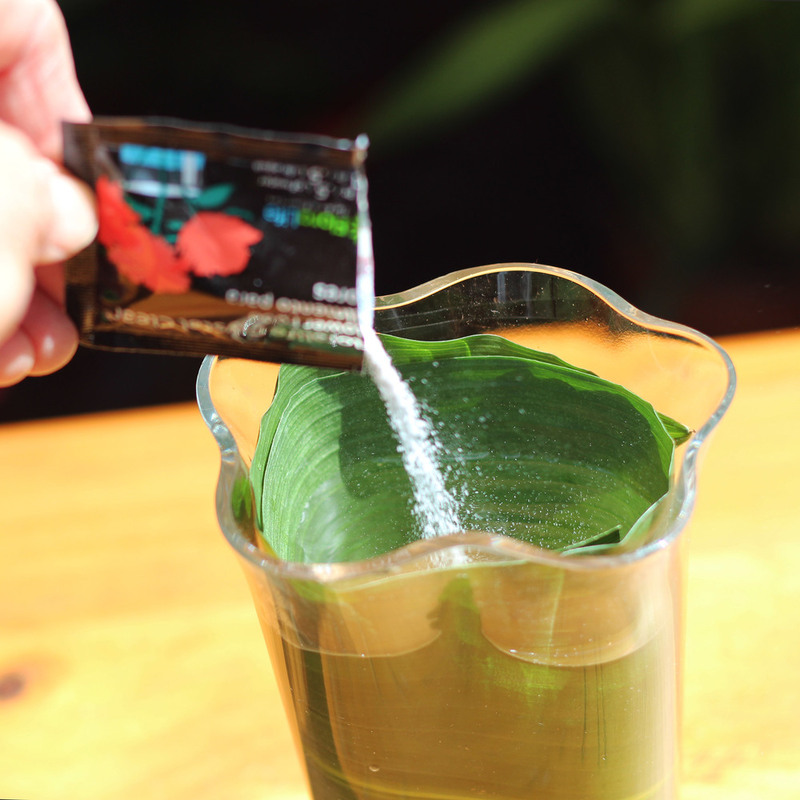 You will use a tea leaf wrapped inside the vase to conceal the stems. You could also other small flowers to make this arrangement. If you have your vase, flowers, and ribbon, let's begin. Cut the end off a tea leaf. It should then be about 16 inches. 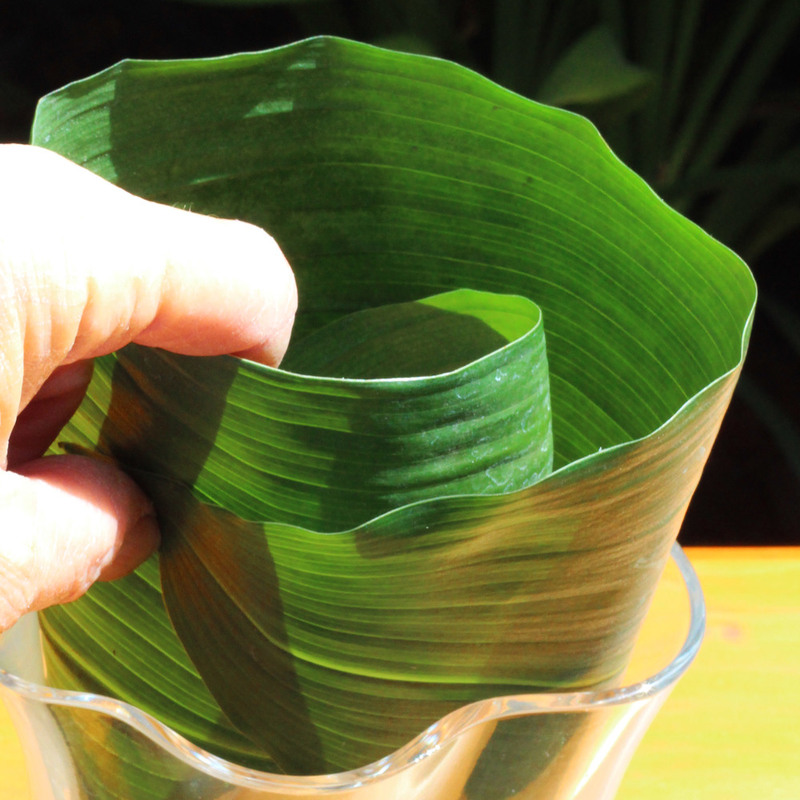 Roll up the leaf with the tip on the outside. Fit inside the vase like so. Add 1/2 packet of floral fresh. Make hand held bouquet. Measure with eye and cut while holding. Place them in the vase. Center of flowers have different colors and sizes. The ribbon echoes the color of the one orange centered daffodil. I love the ruffles on the flower centers. It's like a vase of sunshine.